Home | Young Minds Building Success Charities Inc.
We are a 501(c)(3) nonprofit organization providing tools for children and young adults to facilitate their development, enjoyment, and success in life. We provide 10 main programs to help meet the individual and environmental needs of young people and families. 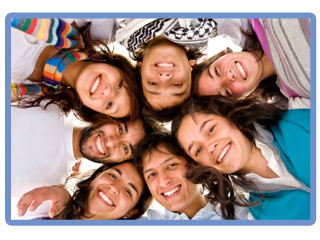 Please join us now in contributing to the academic, professional, and personal success of young people and families. Welcome to Young Minds Building Success Charities, Inc. Welcome to Young Minds Building Success Charites, Inc., a nonprofit organization providing programs and services for children and young adults birth to 22 years of age. We endeavor to foster an environment that promotes the academic, social, emotional, physical, and career success of children and young adults. We encourage the individual needs and potential for each child, assist the needs of families and communities, promote a realistic link between educational services and the needs of the business community, partner with educators, businesses, community leaders, and other organizations, and grow and maintain the financial stability of the organization. Your contribution supports our mission of promoting positive life outcomes for children and young adults now and in the future. Research shows that funding early intervention programs is less costly than funding adult rehabilitative and correctional programs. Young Minds Building Success Charities, Inc. is registered as a 501(c)(3) non-profit organization. Contributions are tax-deductible to the extent permitted by law. Young Minds Building Success Charities' tax identification number is 45-4461432. Young Minds Building Success Charities, Inc. provides 10 main programs and services for children and young adults birth to 22 years of age.